Ringo celebrated his birthday July 7 at Capitol Records with a special salute to "Peace & Love" with family, friends and fans. 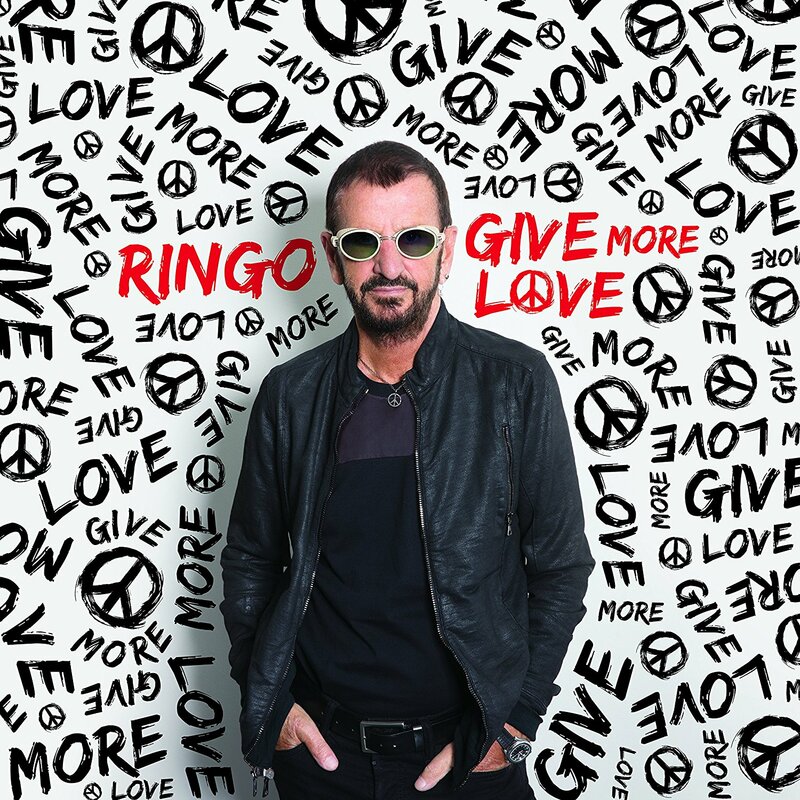 The same day, Ringo also revealed details of his 19th solo album, Give More Love, which will be released by UMe on digital and CD formats on September 15, 2017, with vinyl to follow on September 22, 2017. Recorded at Ringo’s home studio in Los Angeles, Give More Love has 10 new tracks featuring collaborations with friends including: We’re on the Road Again featuring Paul McCartney, Joe Walsh, Edgar Winter, Steve Lukather; Laughable co-written and performed with Peter Frampton as well as Benmont Tench, Timothy B. Schmit, Richard Page and Amy Keys; Show Me the Way co-written and performed with Steve Lukather and with Paul McCartney; Speed of Sound co-written with Richard Marx and featuring Steve Lukather, Peter Frampton and Nathan East; Standing Still co-written with Gary Burr; King of the Kingdom including performances by Dave Stewart and Edgar Winter; Electricity co-written with Glen Ballard and featuring Joe Walsh and Don Was; So Wrong For So Long co-written and performed with Dave Stewart; Shake It Up co-written and performed with Gary Nicholson and including Don Was and Edgar Winter; and Give More Love co-written with Gary Nicholson including Timothy B. Schmit and All Starrs Richard Page and Gregg Bissonette. Give More Love also has four bonus tracks: Back Off Boogaloo, You Can’t Fight Lightning, Photograph and Don’t Pass Me By. This version of Back Off Booglaloo is based on the original recording Ringo made when he wrote the song. He recently discovered the tape when he moved houses. The other three bonus tracks are collaborations based on performances from Starr’s 2016 Peace & Love Birthday event. Alberta Cross performed You Can’t Fight Lightning and Vandaveer performed Photograph and Don’t Pass Me By. Starr loved their renditions and asked them to each record them for his new album, also adding his own vocals. In October, Starr will hit the road in the U.S. with his All Starrs, the same beloved lineup he has performed with since 2012: Steve Lukather, Todd Rundgren, Gregg Rolie, Richard Page, Warren Hamm and Gregg Bissonette. hello it's Glen. Author, Loved You in lincoln Ne. Great Show, great night, Your awesome. ................................http://savoryleaves.com ENJOY. I would buy it anyway but...the album comes out on my Birthday! it would be nice to have one as a gift?! RICHARD STARKEY is STILL the GREATEST SHOW ON EARTH - OUR ETERNAL THANKS RINGO & PAUL! TIMELESS INFINITE MULTI-DIMENSIONAL UNCONDITIONAL LOVE BLISS AND HAPPINESS TO YOU (AND TO ALL)! I've heard the title track on the SiriusXM Beatles channels, and it's been stuck in my head ever since. I love it. And just look at that man! He's a 77 year old teenager. What a blessing it is to have him on this Earth.